Interstate Wire offers a comprehensive portfolio of high-performance cable and wire management products. We work with a variety of manufacturers and markets, including major suppliers Belden, Alpha Wire, General Cable, Harbour Industries, Thomas & Betts, and other cable & wire suppliers, who engineer quality product lines for aerospace, automotive and electrical industries. Our complete list of products we offer from each cable and wire supplier can be found in a comprehensive list here. As a cable and wire stock distributor, we maintain a large inventory of material available in-house and online, that enable us to have quick turnaround times. We are a one-stop shop for hook up wire, multi-conductor cables, coaxial cables, portable cordage, flat cables, molded cable assemblies, and many more wire management products to fit your needs. Our expertise ensures that we can meet the most challenging requirements for any wire and cable application. Interstate Wire Co. carries a full line of multi-conductor cable from leading manufacturers of high quality cable and wire products. 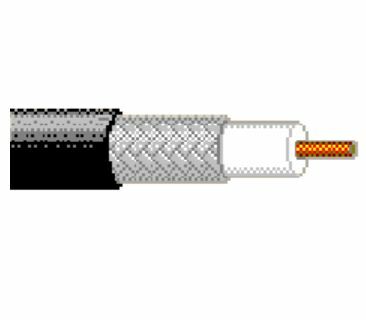 As the premier distributor for multi-conductor cable, we offer cable for use in the computer, communications, medical, control equipment and data transmission industries. Used for applications in surgical equipment and production robotics, multi-conductor cable provides reliable, high performance data and power transmission capabilities. Interstate Wire, the premier distributor of cable products, carries a broad line of coaxial cables from the leading manufacturers in the industry. Coaxial is the most commonly used cable and is used in all electronic equipment to transmit data, audio and video signals. Interstate Wire carries coaxial cable for use in industrial and military applications, as well as use in consumer products. Interstate Wire is the premier distributor of high quality portable cords and cord sets for industrial, commercial and residential applications. Portable cordage, such as extension cords, is used to provide power distribution for temporary or portable power applications. Configurations can range from light, indoor residential power cords to heavy duty cord sets to supply equipment in remote or temporary worksites for the construction, marine and mining industries. Interstate Wire distributes a full line of flat cable and flat ribbon cable for electronic applications. Providing both power and data transmissions, flat cables are mainly used for internal connections within the equipment. They are available in a wide range of configurations to accommodate different connection and data transmission requirements and the range of sizes of the equipment using the cables. Flat cables provide consistent performance due to their layout and the spacing between the cables and are lighter, thinner and more flexible than other cables. Interstate Wire carries a full line of wire management products from leading cable and wire product manufacturers. As the premier distributor of cable and wire products, we offer a full line of products needed to organize your wire harness and cable routing applications; protecting them against environmental and signal interference and ensuring the optimal performance from your cable products. And, our wire management products provide an organized, clear work environment.